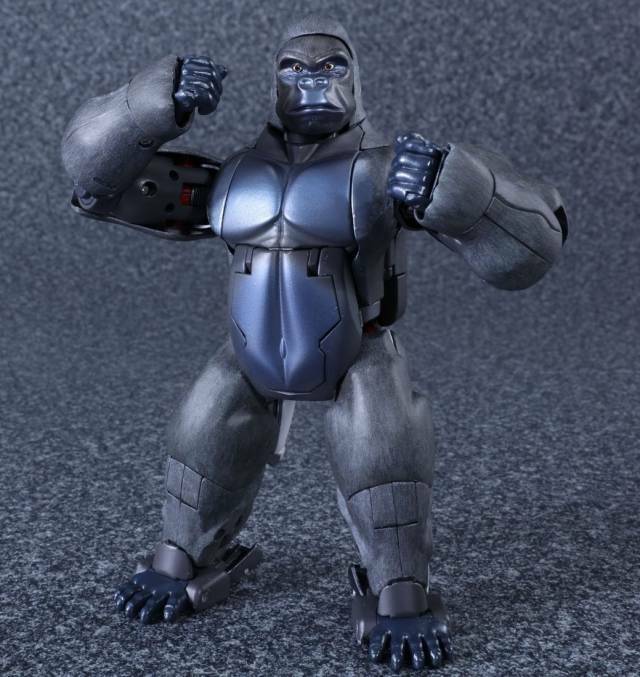 With the 20th anniversary of Beast Wars, Takara pays homage to the Beast series with MP-32 Masterpiece Optimus Primal! 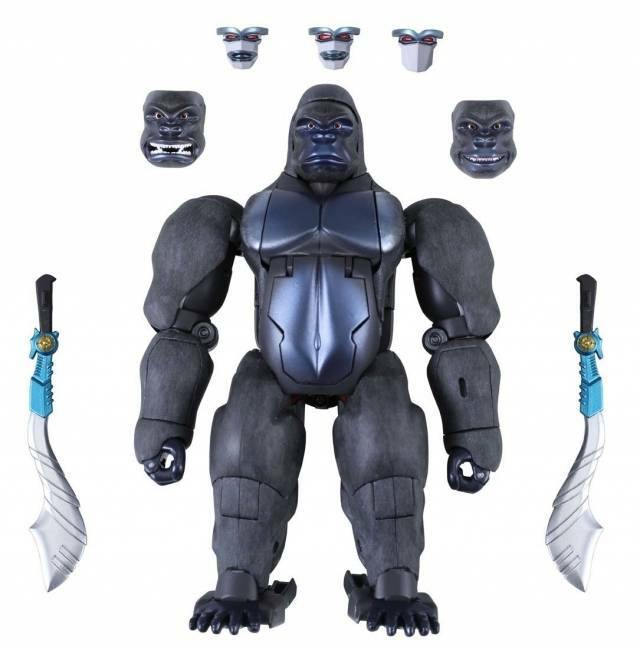 Features removable/replacable face masks, and his tell-tale swords, this is a Masterpiece not to be missed! 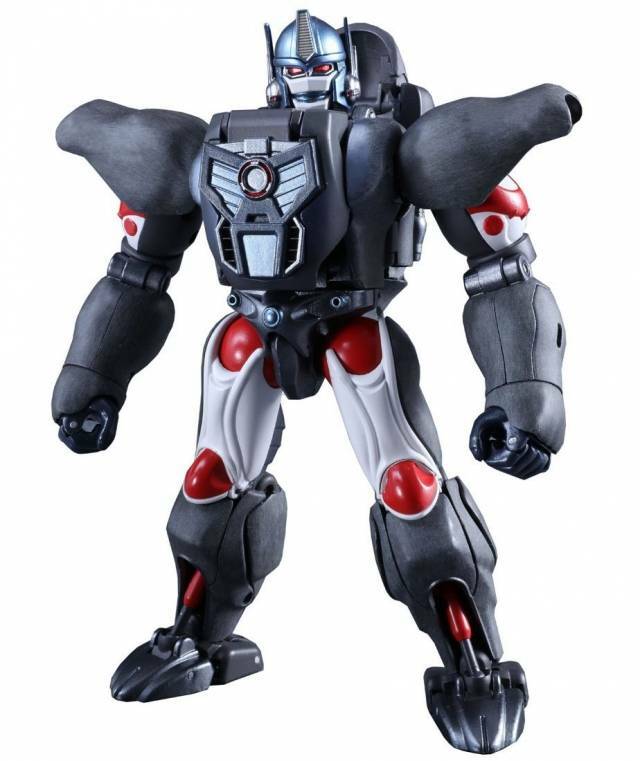 MP-32 features all new technology to faithfully reproduce the on screen CGI from the Beast Wars series! 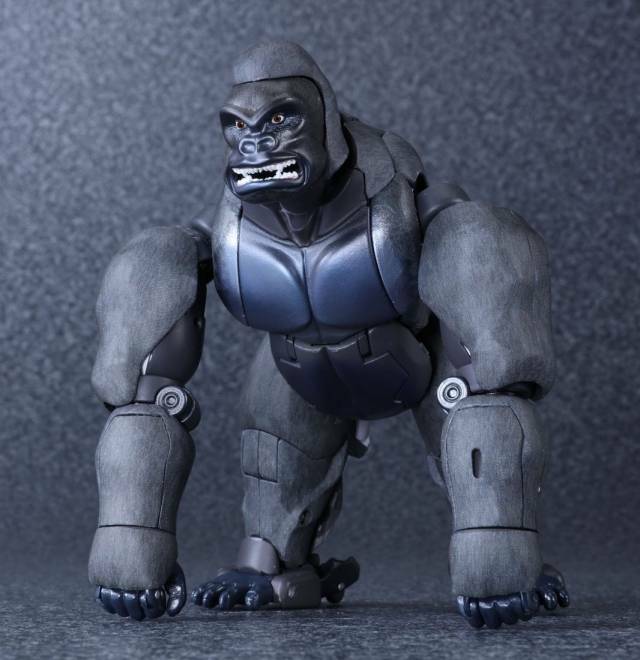 Transforms from robot to gorillla and includes 2 cyber blades, and 6 alternate face plates for Beast and Robot Mode. 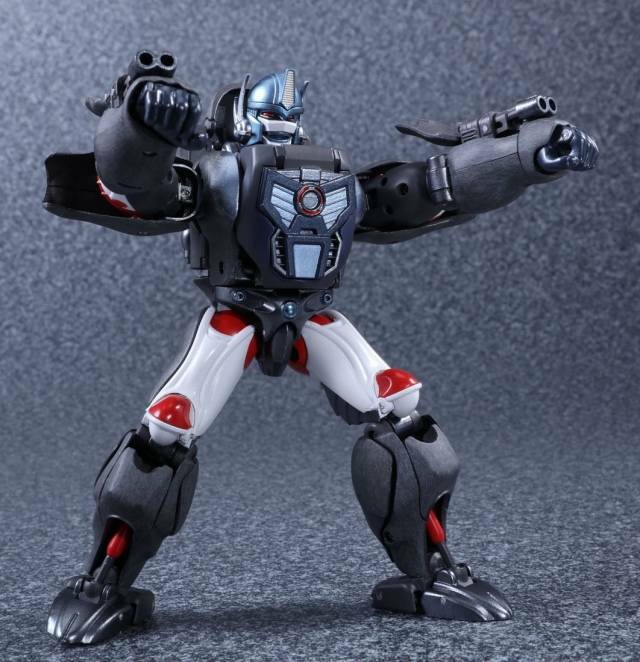 Concealed cannons can be revealed when in bot mode in his arms and shoulders. 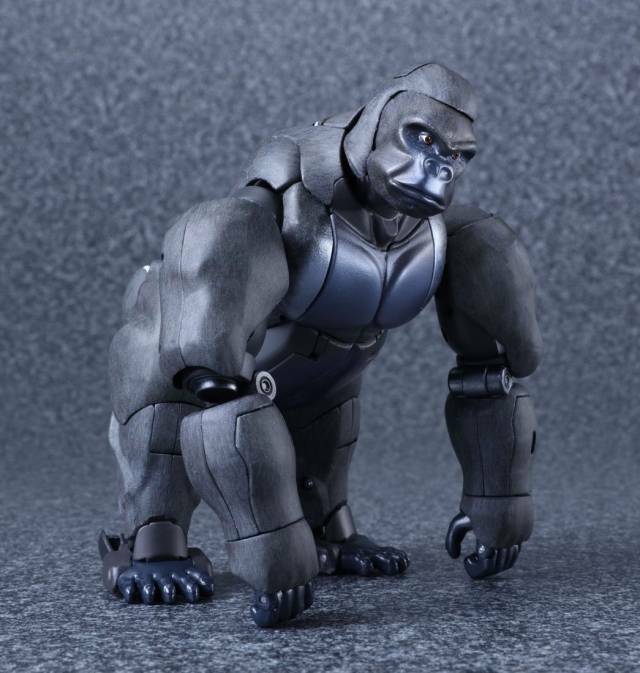 - CGI recreated version of Optimus Primal aka Beast Convoy! 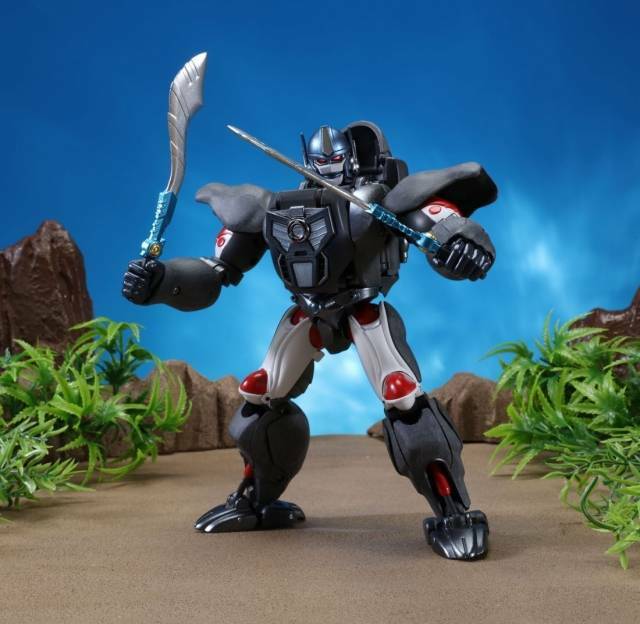 A FABULOUS Beast Wars Masterpiece Convoy! This is my second MP Transformer - the other being Hot Rod - and I am really really really liking the quality of the parts and ease of transformation on these models. 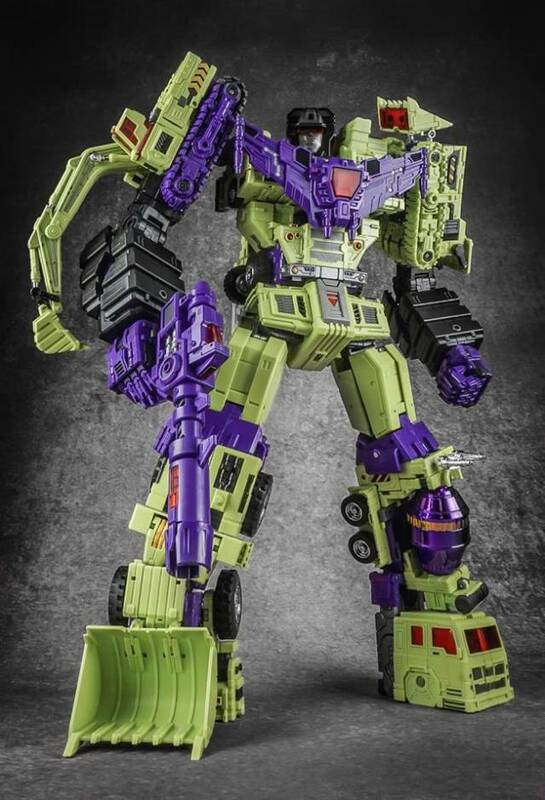 Convoy/Primal is easy to handle, transform, and the components store nicely inside without the complication of some other 3rd party pieces that don't want to shift/pop/swing out or lock... 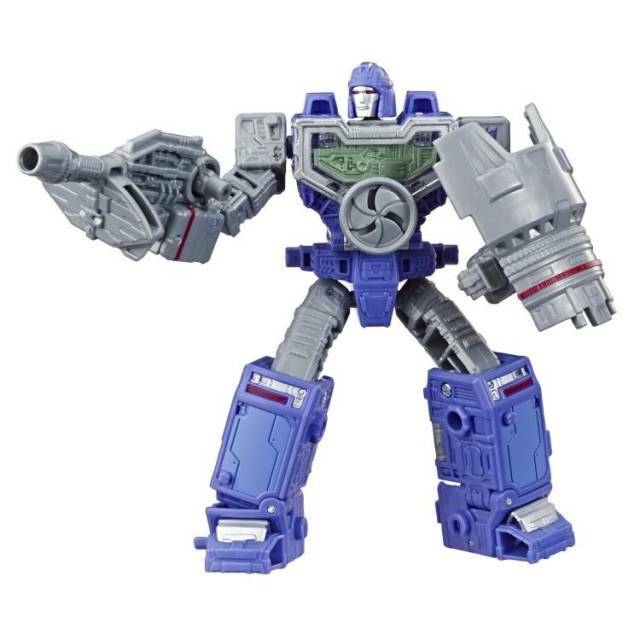 While I really like 3rd party toys for their variety, I hope to get more official Takara MP 'bots soon! This figure is pretty great. Primal was my first masterpiece, and what got me into collecting. The only issue I have with him are the delicate paint apps, but everything else about him is so great I don't mind the chipping and fading because I handle him daily. If I'm going to nit pick I wish they figured out a way for the swords to collapse and store somewhere in beast mode. This figure is absolutely amazing. 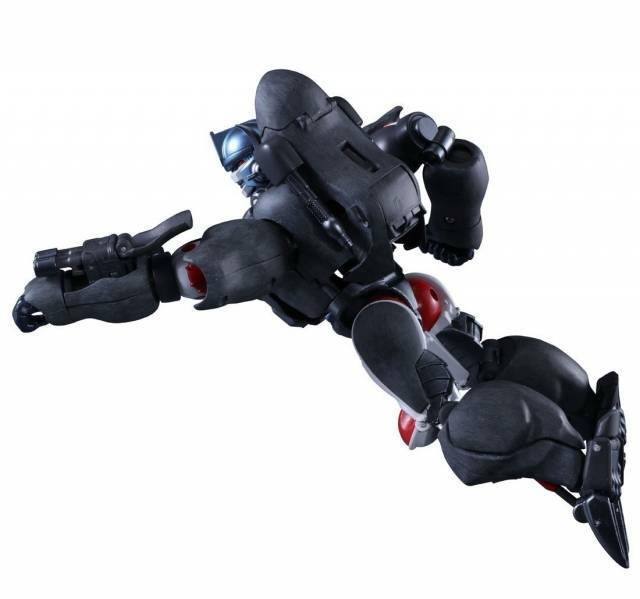 Excellent articulation, awesome detail, and great articulation. Not to mention it's amazingly show accurate! 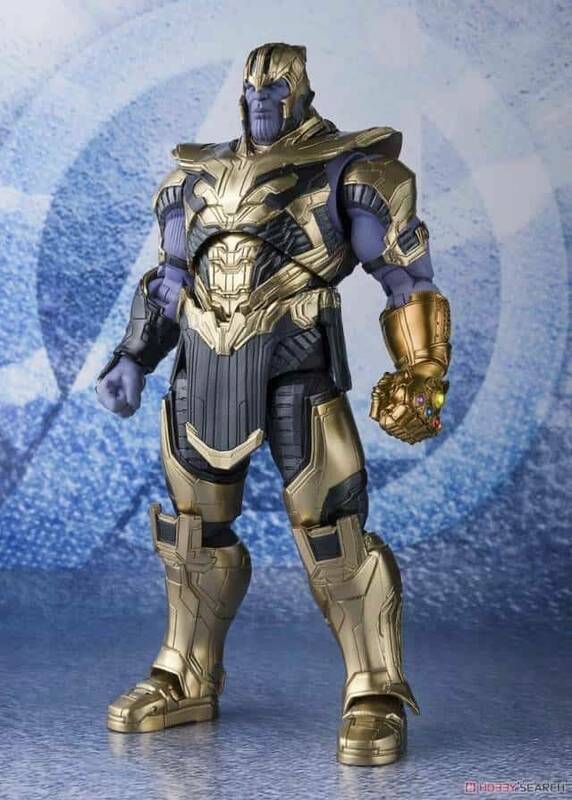 What can I say this figure is amazing . Completely screen accurate. I. 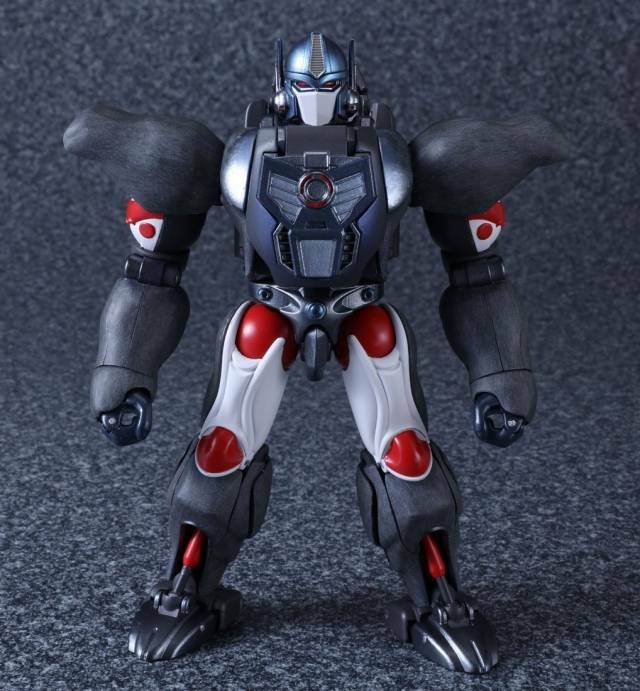 Would recomend this figure to anyone who loves the beast wars cartoon as much as me. Fantastic! 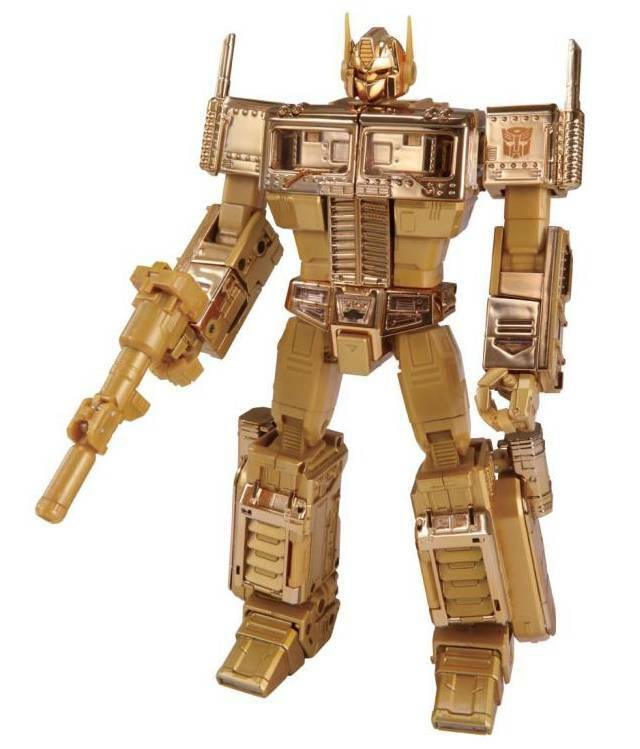 Not only is this toy extremely accurate to the show, it improves upon the original design and is far more intricate to transform than you may suspect from the photos alone. 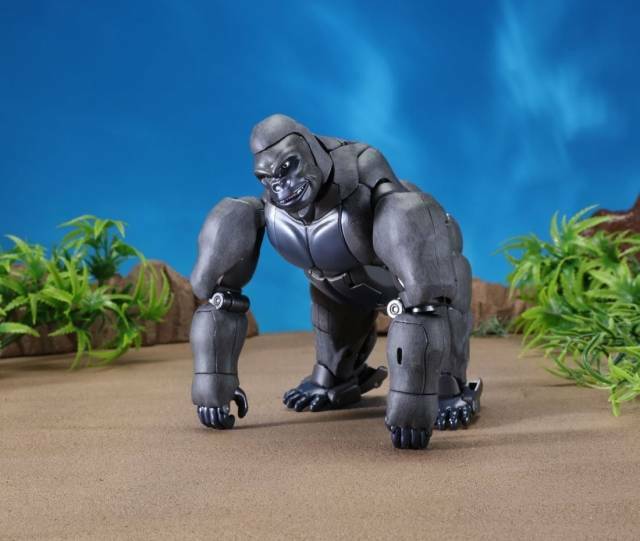 Very heavy, sturdy figure with a sleek finish and perfect poseability and NO KIBBLE. 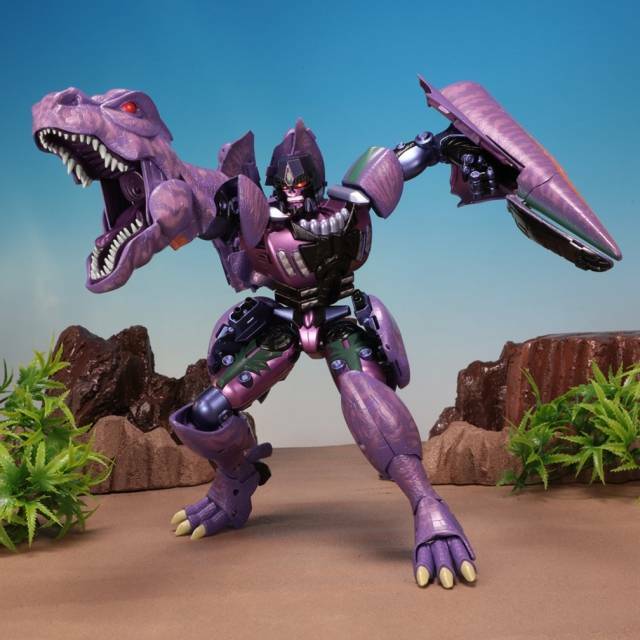 Finally, Masterpiece Beast Wars, and it's Great! This is a really awesome figure. 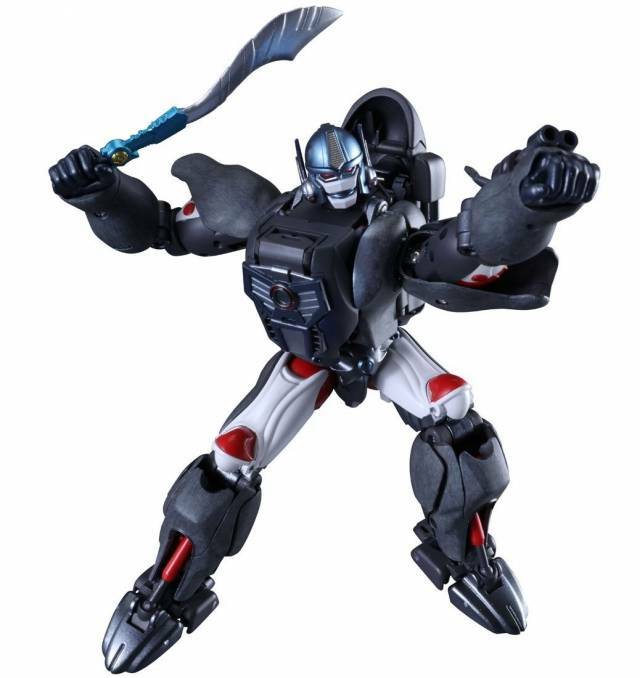 Looks extremely close to the animation model in robot mode and I suppose about as close as it can look to the animation in beast mode too. 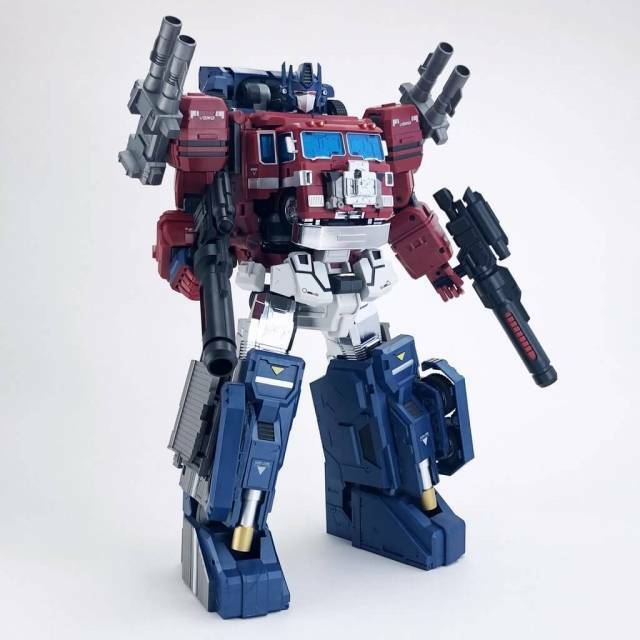 Great articulation, dual arm blasters hidden in both forearms, prime-jets on his back, twin swords, shoulder cannons that can fold back, light up eyes that stay on for a few seconds then fade away, and multiple faces for both modes. It's really great. To make things even better, transformation isn't overly complex, so it's actually fun to change him back and forth. Primal has room for improvement though. 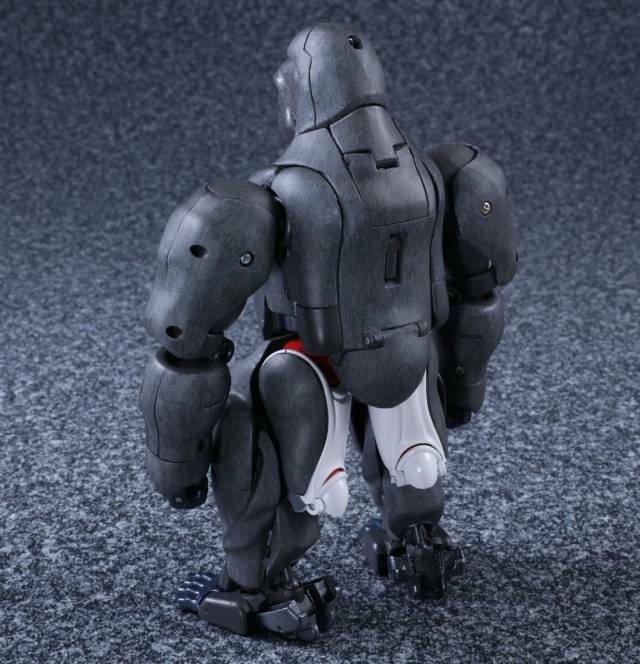 The elbows just don't look good from any angle but the front, robot shoulder armor doesn't fold down enough to cover the white robo-biceps in gorilla mode, the robot feet are obviously seen sticking off the back of the beast heels, and least bothersome but still worth mentioning, his white robot thighs are visible on the back of beast mode. A perfect figure is very rare and this isn't quite one of them. 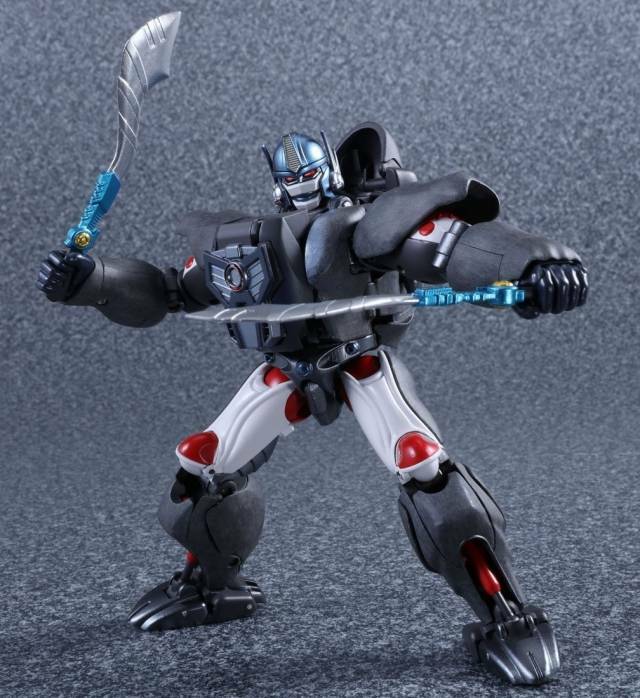 Still a great start to MP Beast Wars and a very cool figure. 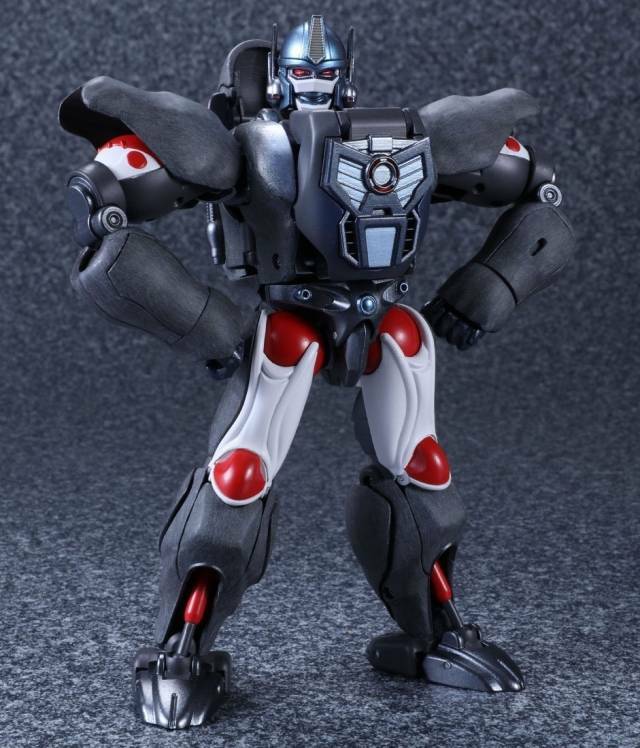 Takara just raised the bar on what is considered "Masterpiece"
Wow. 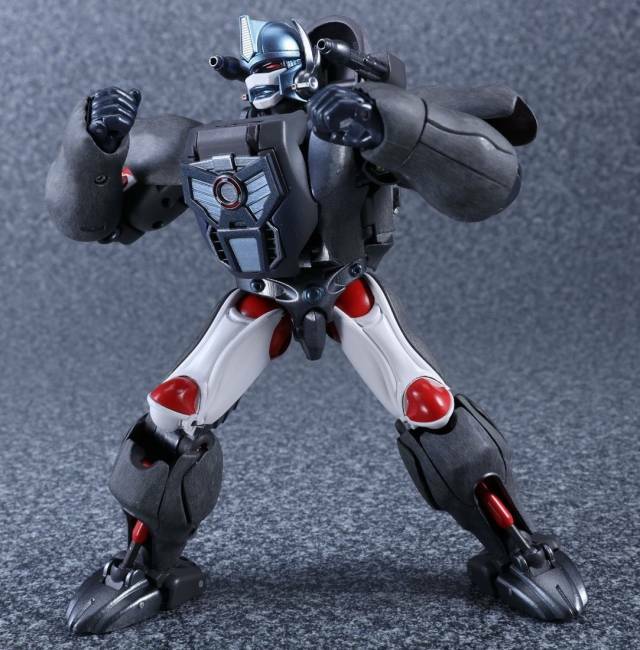 I'm not really a Beast Wars fan, but this figure is too good to pass up. 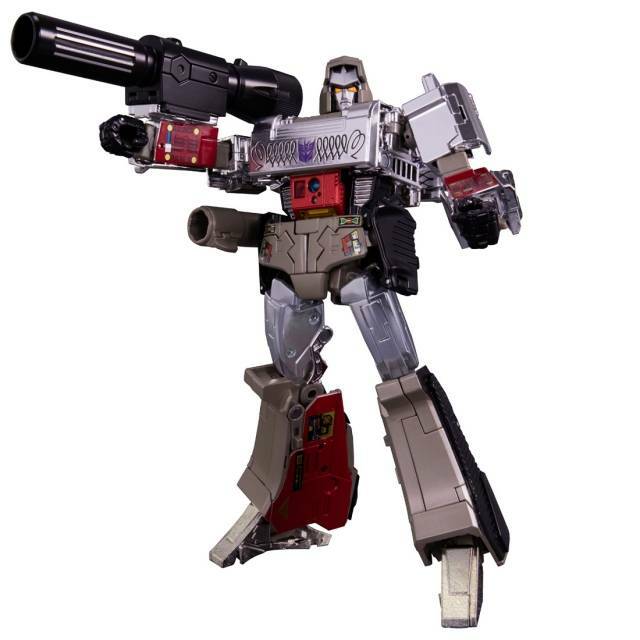 Premium feel (nothing loose); elegant transformation like MP10; beautifully sculpted curves; I like to imagine he belongs in the G1 universe opposing the Predacons.